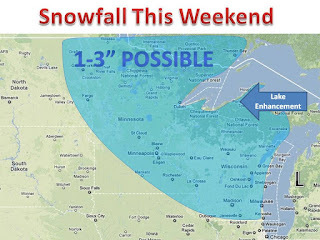 This Weekend may bring a minor snowfall to parts of the northern Midwest. A storm system will streak across the country and nearly stall out over Michigan. It will start as rain on Saturday and switch over to snow showers on Sunday. The map shows the area where 1 to 3" of snow is possible. 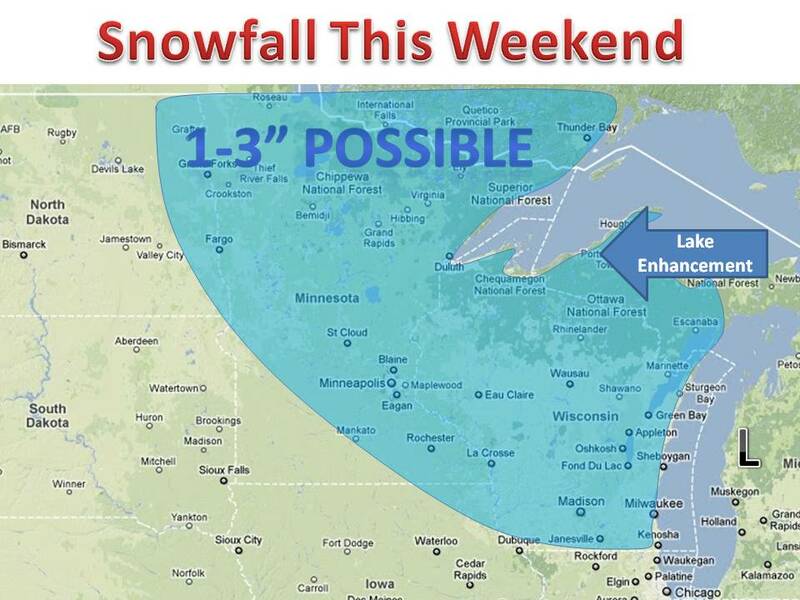 Lake enhancement will likely occur in the U.P of Michigan where 3-6" will be possible Sunday. Keep it here to Midwest weather talk for updates!